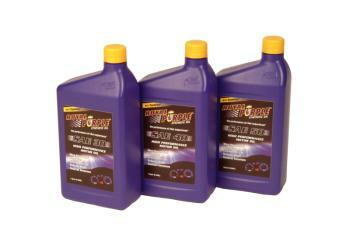 Royal Purple Heavy Duty Motor Oil UNIVERSAL - TRU Motorsports International LLC - Your Car and Truck Headquarters! Royal Purple Motor Oil is a tough, long life, high performance oil that delivers superior protection and enhanced performance to gasoline and diesel engines. It gains its performance advantages from a blend of synthetic oils plus Royal Purple’s proprietary, synthetic Synerlec additive technology. 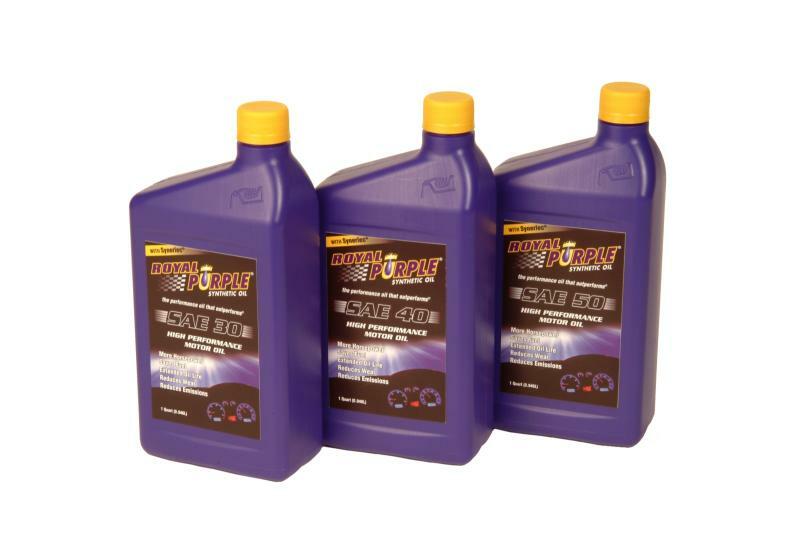 Environmentally Responsible: Royal Purple Motor Oil extends oil drain intervals. Less oil is purchased and less oil is being disposed of—It’s good for your vehicle, and good for the environment! Royal Purple Motor Oils are compatible with other mineral and synthetic motor oils. Tech Tip: Royal Purple’s motor oils are API certified and will not void new car warranties. Royal Purple recommends waiting until the manufacturer’s first scheduled oil change or a minimum of 2,000 miles in new gasoline engines before using Royal Purple. Allow 8,000 to 10,000 miles before use in diesel engines.